Have you ever felt like you wanna scare someone to death? Whatever the answer is (freaks! ), this poket device does exactly that. 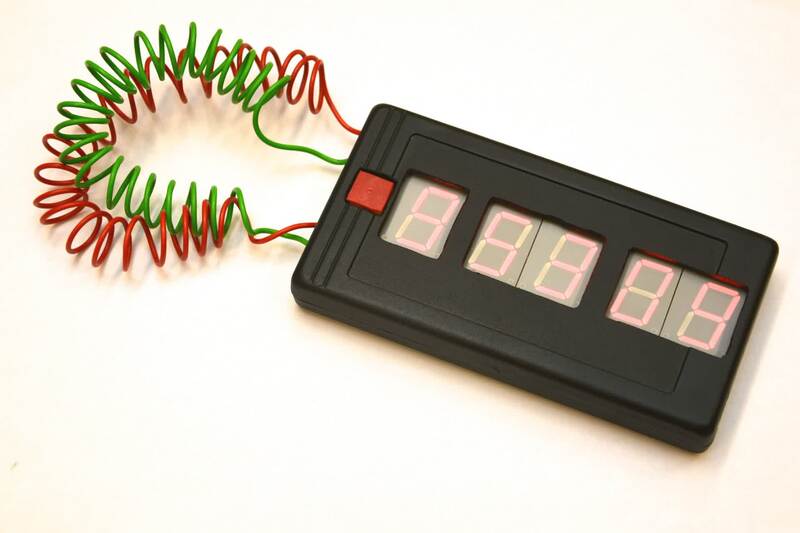 When you turn it on, it starts counting down 10 minutes (9.59.99). 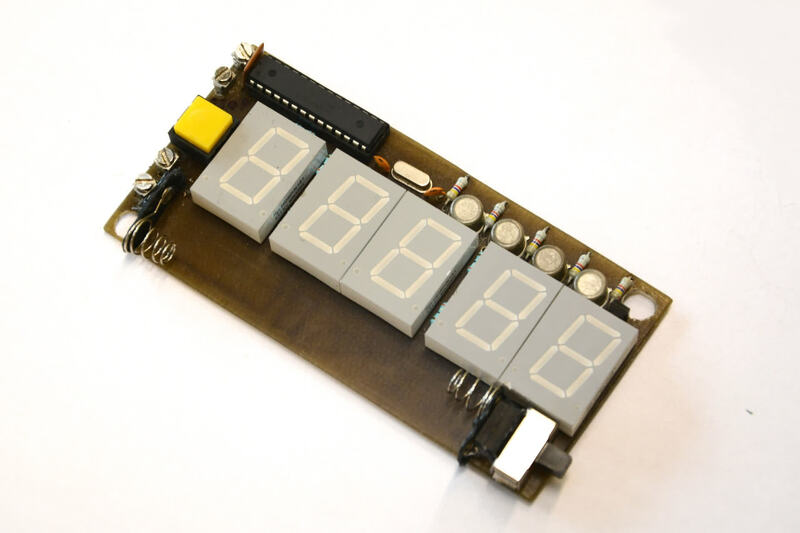 Time is displayed on five 7-segment displays. Have you noticed the big red button? Well... if you press it countdown will substract 1 minute. And what fun would it be without 2 wires! One stops the timer and one significantly speeds up the countdown. On its own it looks quite friendly, but mount it on a box with a piece of tape and you get much, much scarier device! Inside is Atmega8, 4 AAA batteries, 5 7-segment displays, some transistors for driving displays and a power switch.